Motörhead re-released their 2013 album Aftershock, under the title Aftershock - Tour Edition on August 4th. This expanded release contains a bonus disc of live material comprised from the band's historic appearances at the 2014 West Coast Tour, and in further celebration, UDR/Motörhead Music/ ADA are proud to present "Lost Woman Blues" live from The Warfield in San Francisco on Friday April 18th, 2014. The show was part of the band's warm-up mini tour for their current European festivals, and the song's performance, verve, swagger and attitude show Motörhead have maintained their rich ripeness and added another layer of grit and polish. Joining the band on their November run will be fan favourites, The Damned. 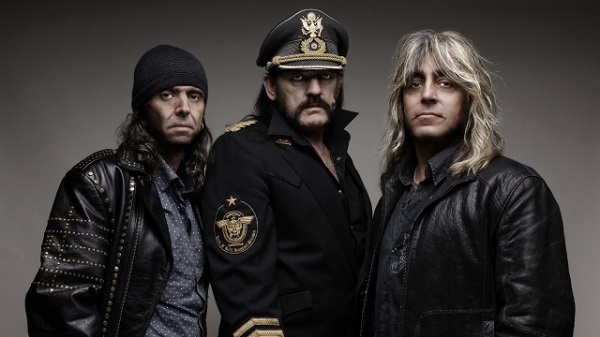 Having joined Motörhead for their November tour in 2009 to mass acclaim, they were the obvious choice or these shows. As if that wasn’t enough, Berlin’s country rockers The Bosshoss will be rounding the line up off. Don’t miss your chance to catch the legendary Motörhead when the blast through the UK with these very special shows this November.